Using milk topically can be extremely helpful in enhancing the quality of your skin. 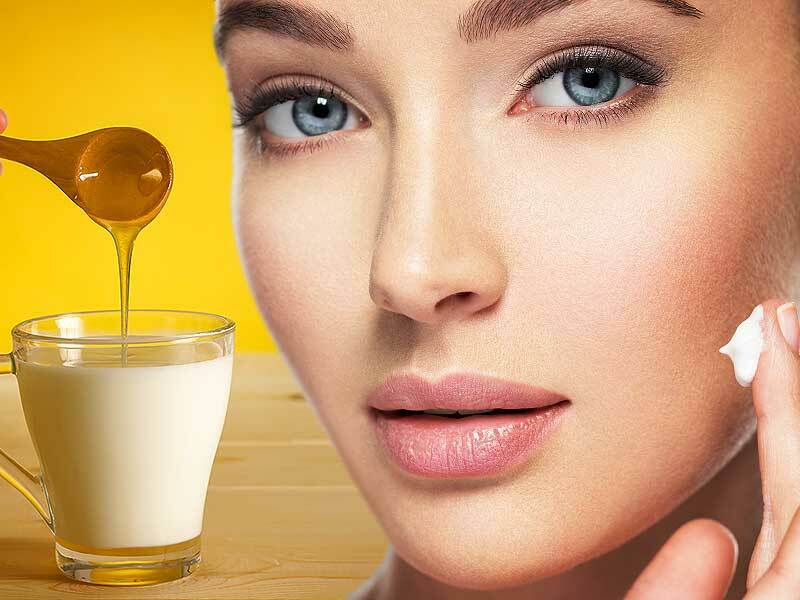 Be it sour or raw milk it can be quite beneficial for making your skin to glow. It lightens uneven skin, fights wrinkles, exfoliates, and moisturizes the skin. Using cold milk can even be helpful in soothing sunburns. Milk is a rich source of protein and calcium and it tops the list of the A class healthy foods. You can add this to your daily skincare and the results are going to be tremendously encouraging. There are uncountable beauty benefits of Milk. Here are a few of them. As one grows older, skin also grows along and it starts losing its natural glow. The presence of wrinkles and fine lines can be felt. But, in a number of cases, the skin starts looking dull because of poor skin care regimen and continuous exposure to the Sun. But, the good news is you can reduce these skin related issues. Milk is extremely helpful in taking good care of skin. It helps in preventing skin aging. The lactic acid and alpha hydroxy acid present in Milk works well by boosting skin health. Application of raw milk is way more beneficial because of the fact that the lactic acid produced when gets fermented by bacteria. Dead skin can result in making your complexion look lifeless and dull. Therefore, exfoliating it regularly is extremely important. Milk is a very good exfoliating agent! The lactic acid content of milk is considered a gentle exfoliator which keeps you at bay from the unwanted effects of other skin-damaging chemical exfoliators. You can either apply directly on your skin or add to your bathing tub and that will help in exfoliating your skin. Particularly, if you have oily and thick skin you‘ll need to exfoliate for 3 to 4 times per week. Continuous Exposure to Sun can damage your skin and make it look dull, uneven, less elastic, and brings about wrinkles. Also, the lactic acid content of milk can be quite helpful in mitigating the damage caused due to sun exposure. Applying milk especially raw milk can be extremely helpful in creating a shed to your epidermis that is the outer layer of your skin. It further works by imparting firmness and strength to your skin. You’ll be surprised to know that milk was used in the ancient Ayurveda therapy in the treatment of Sunburn. The antioxidant content of milk can be extremely helpful in soothing inflammation and pain. All you have to do is to dip a gauze pad in a pot of cold milk and apply it on your skin. Be it Hyperpigmentation, brown spots, suntan, Freckles, or any kind of skin disorder milk can prove to be extremely beneficial. It’s the pigment, melanin, which is responsible for the color of your skin. If melanin content increases in your body, your skin looks darker. And, when melanin gets excessively deposited on your skin, it brings about an uneven skin tone and causes hyperpigmentation. But, thankfully raw milk can also be extremely helpful in this case. You can form a thick paste of turmeric powder with buttermilk or milk and apply it to tanned skin area for great results. Keep it for 10 minutes and rinse it off. Many of us fight every day with the problem of dry skin. It can gradually result in scaly skin, looks rough, and can even crack or itch. The lactic acid present in milk is a powerful humectant. This helps in keeping your skin supple and moisturized. Also, the fat content in milk can be helpful in preventing the moisture from skin from escaping. And, the milk protein softens and smoothes your skin. And, this is the primary reason that most of the moisturizing products contain milk.